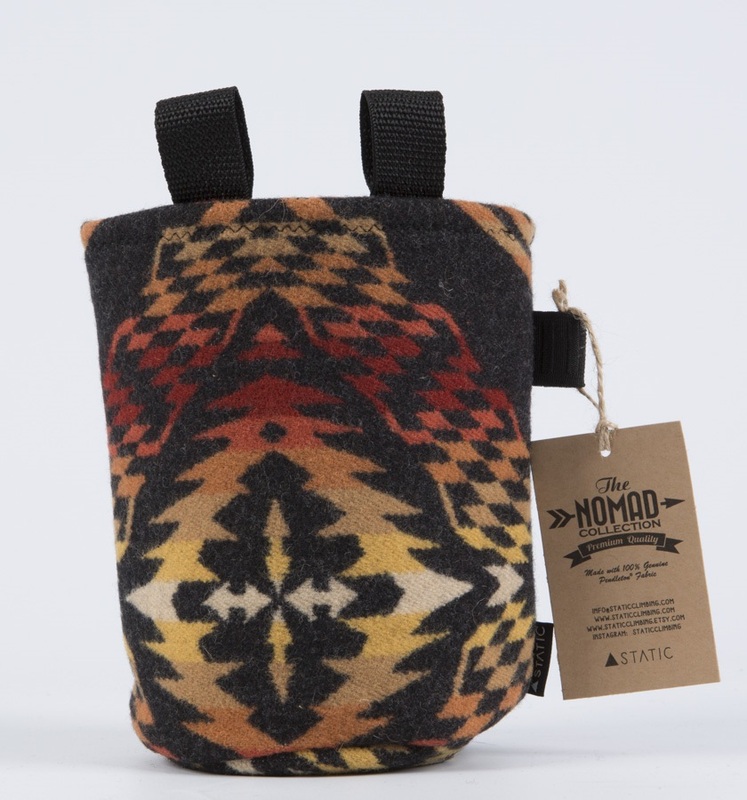 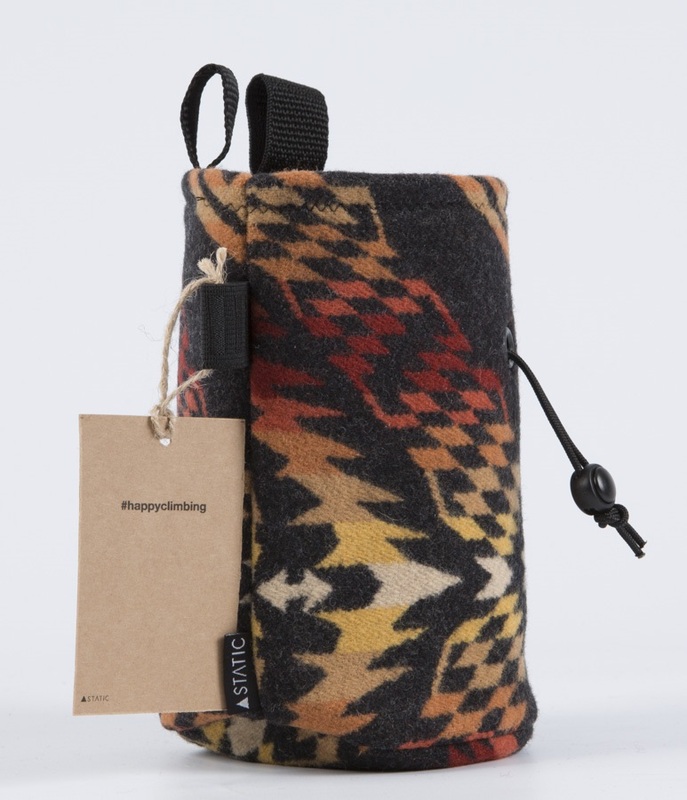 Static present their premium Nomad Chalk Bags, handmade down to the last stitch. 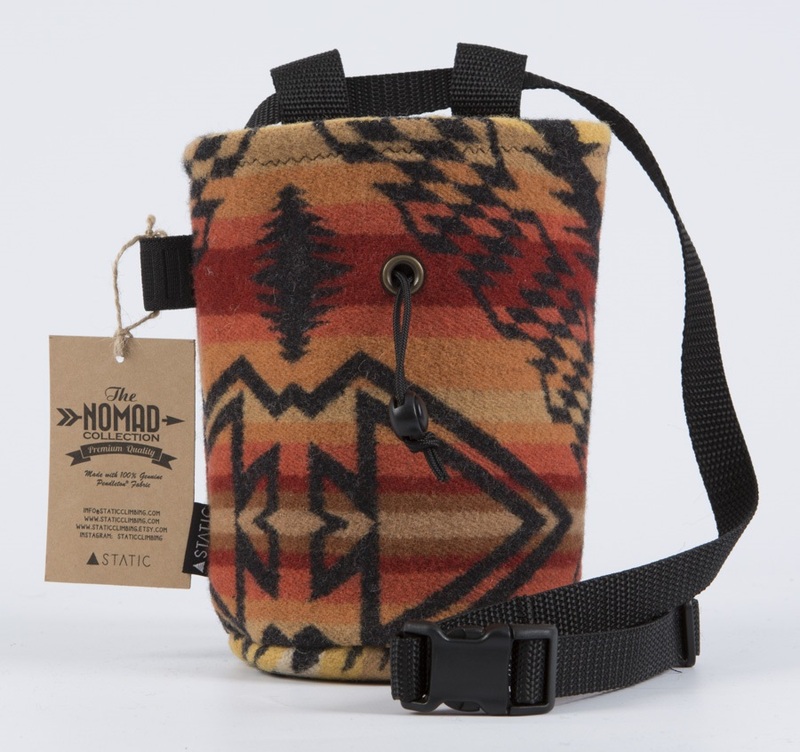 Designed with unrivalled quality, durability, and functionality: the Nomad Chalk Bag is perfect for a weekend at the crag or your next session at the gym. 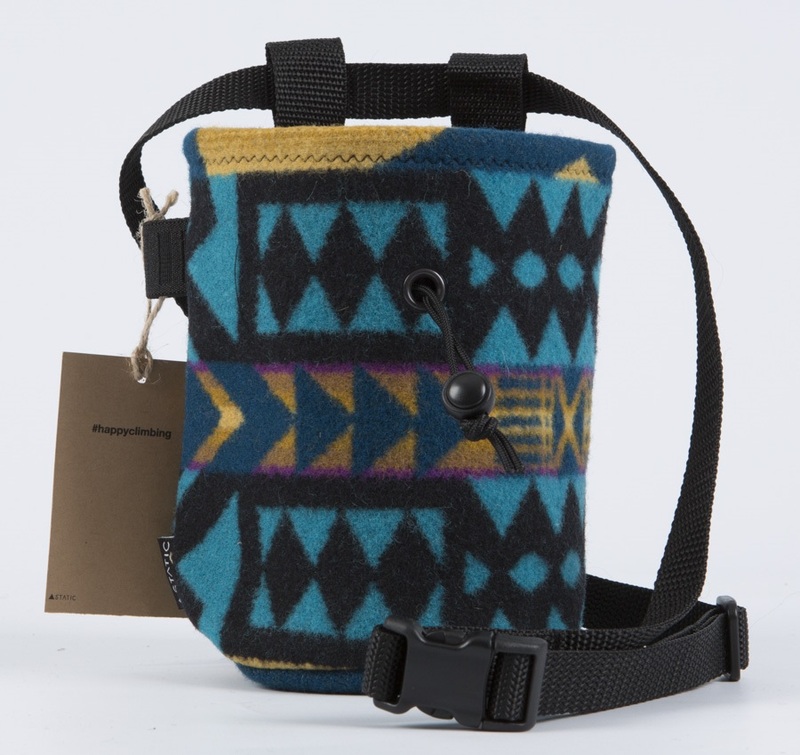 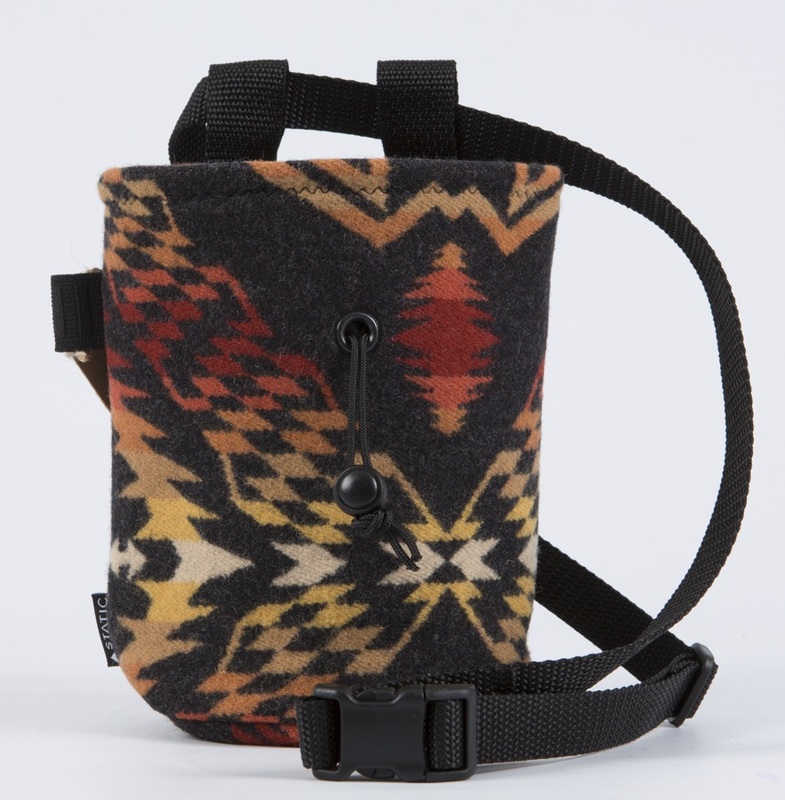 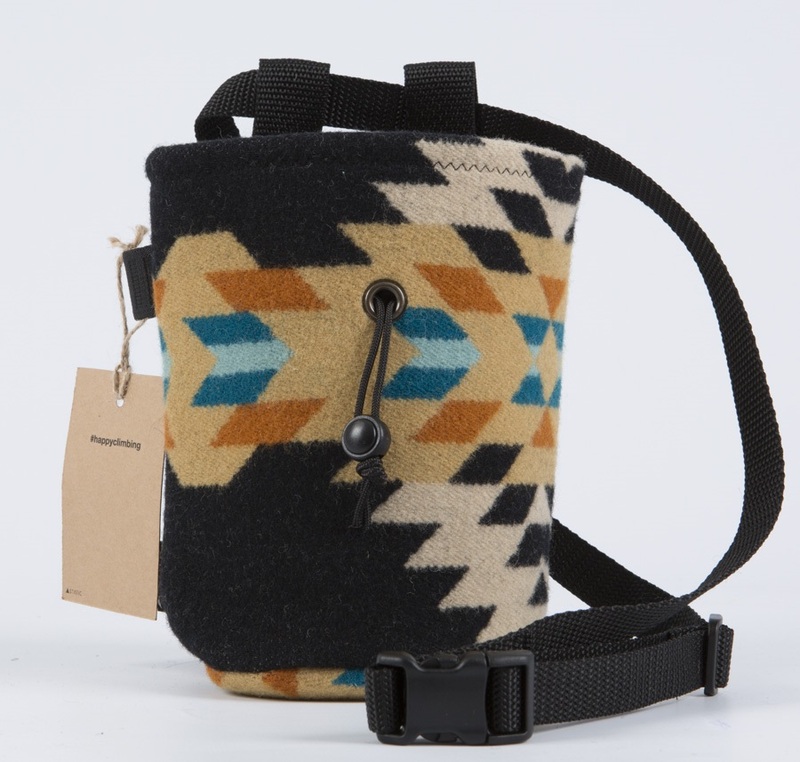 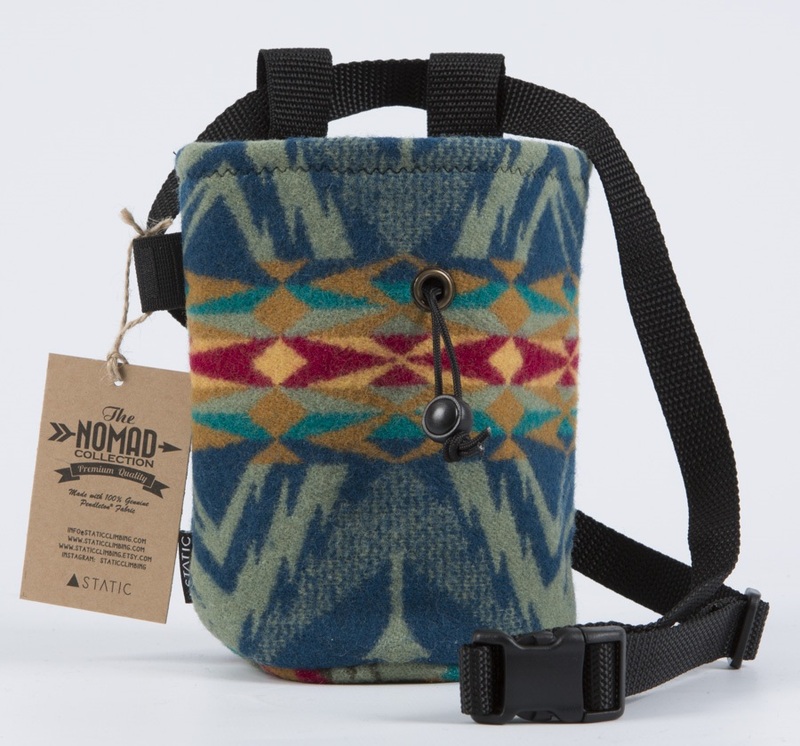 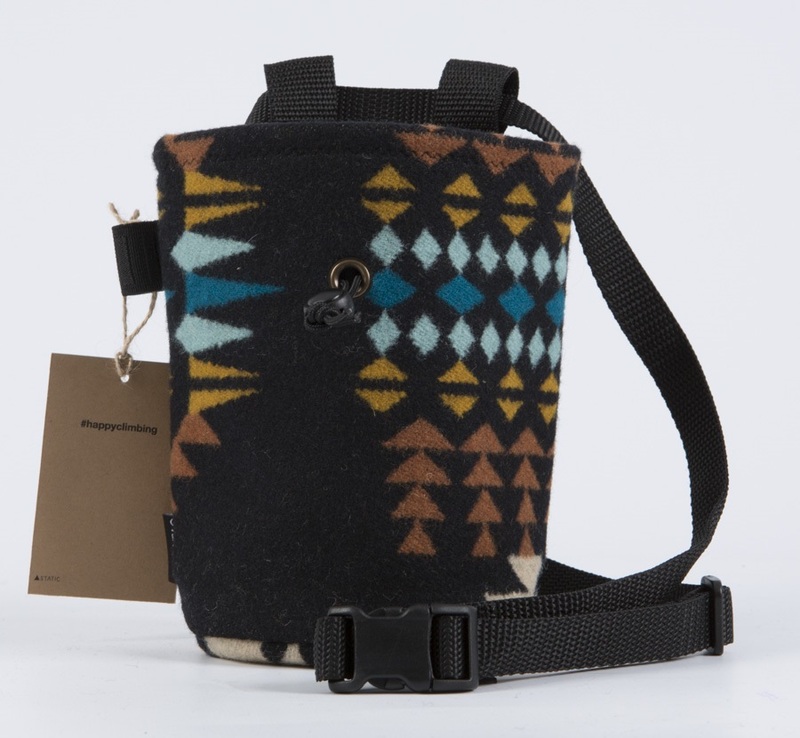 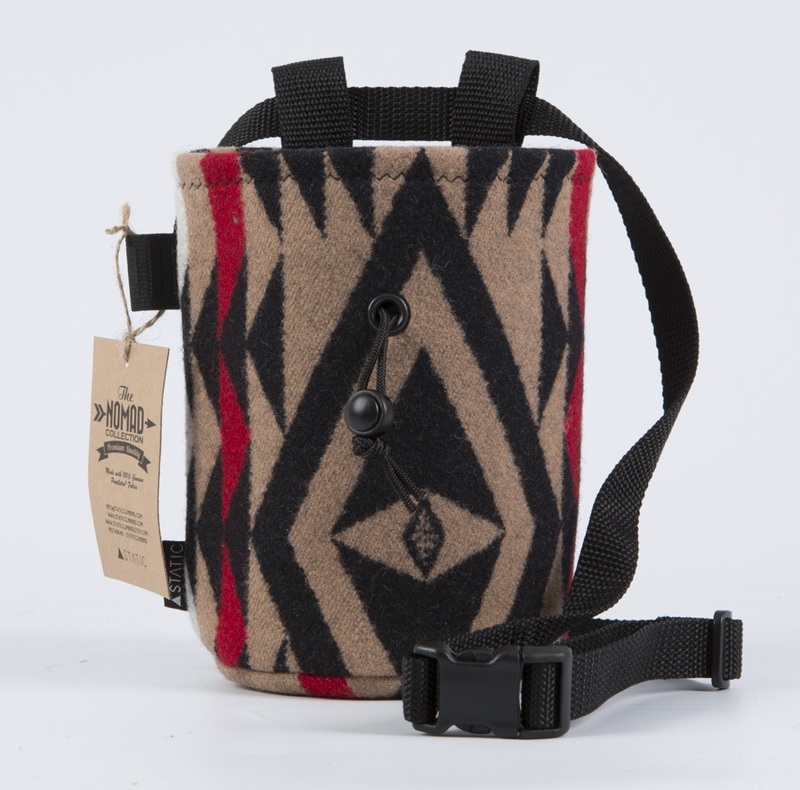 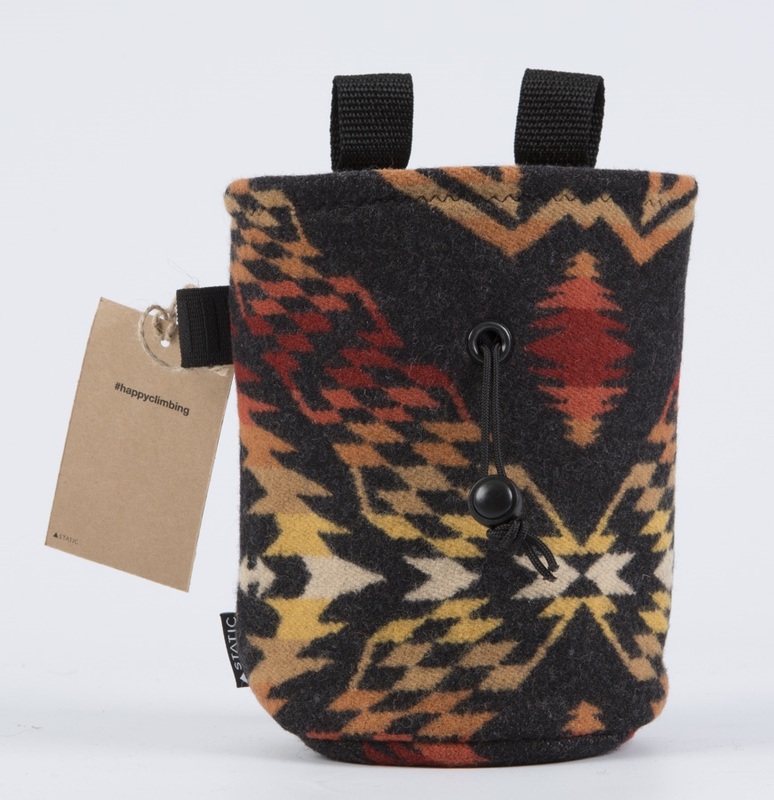 Constructed with care using locally sourced materials, Static's genuine American Pendleton wool makes every Nomad chalk bag unique - each bag will have slight variations in pattern and colour. 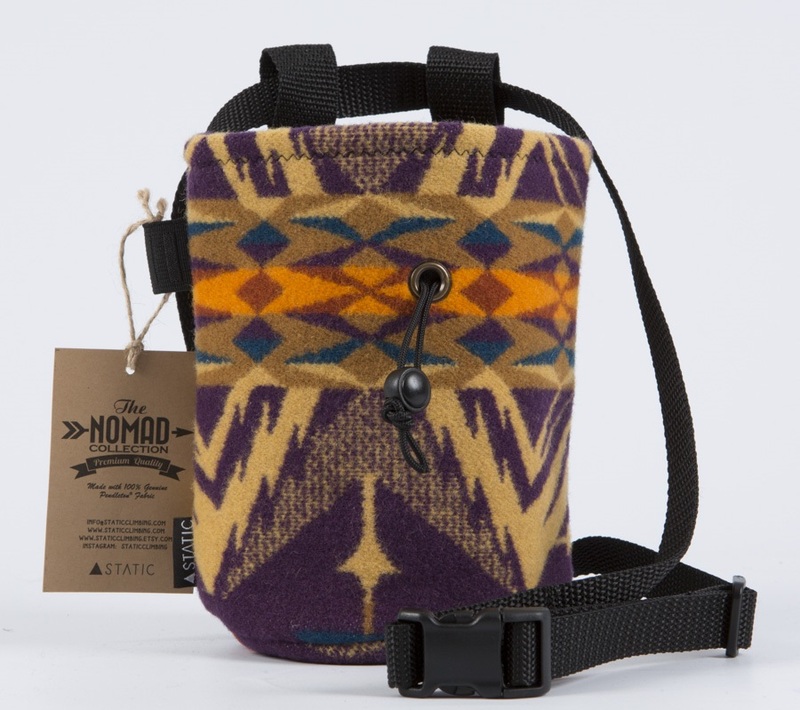 The Nomad Chalk Bags feature a protective anti-pill fleece lining to keep your chalk use as efficient as possible, complemented by a strong and secure paracord drawstring closure. 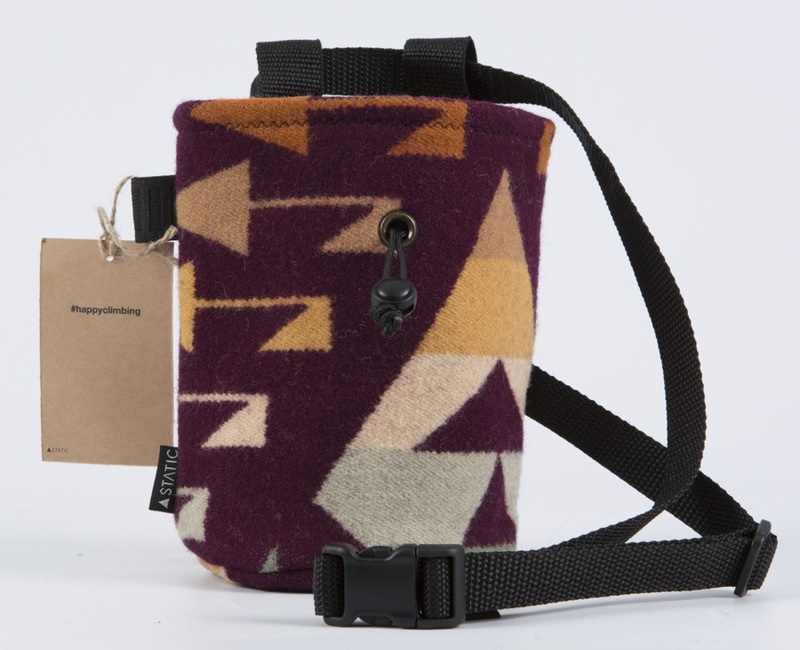 A generous size allows ample room to chalk up - without mess, and every bag is infused with USDA organic San Diego lavender. 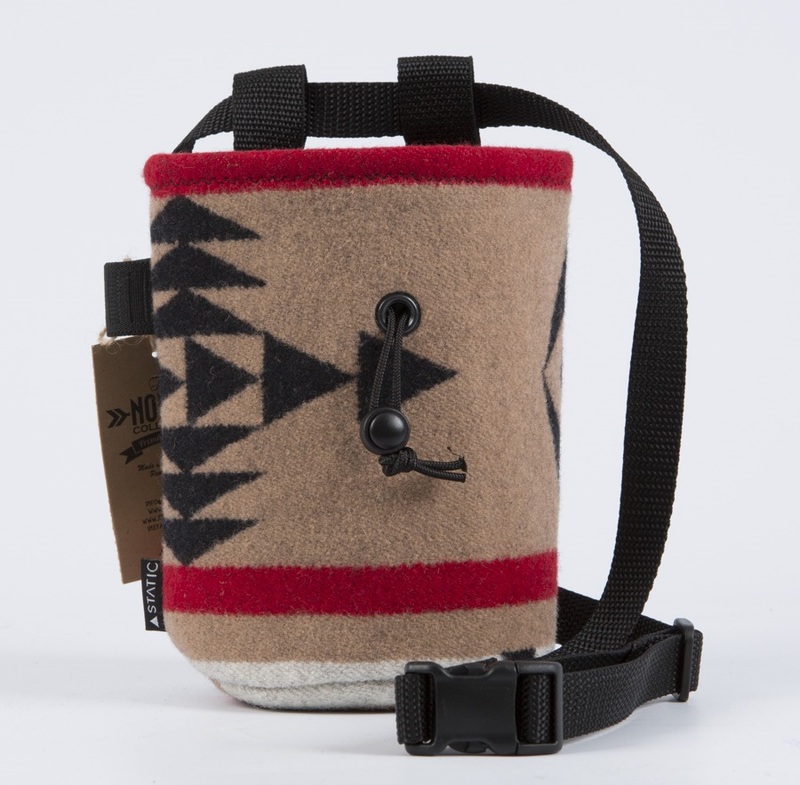 The perfect chalk bag to stand out at the crag, and large enough to tackle even the most challenging routes and projects, Static gives you a chalk bag that is unique and truly yours. 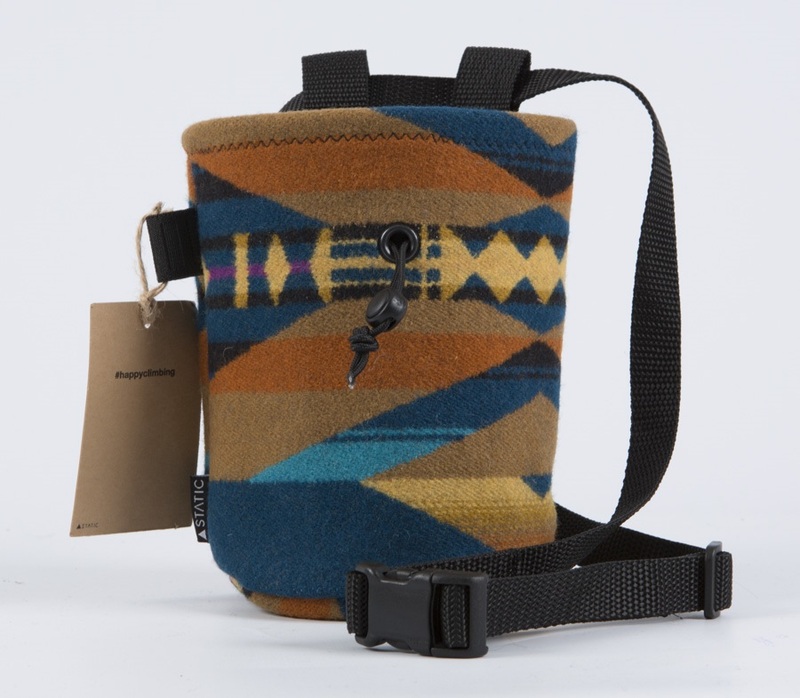 Includes a fully adjustable 35" | 89cm belt.